Hope doesn't necessarily exist apart from struggle. In fact, there's usually a battle raging. What hope does is to remind us there is the possibility of something better. 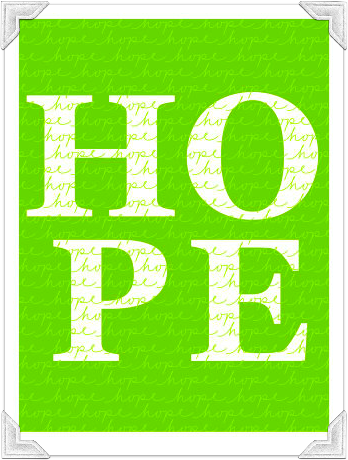 Hope speaks a continual, "Don't quit." It 's that ever present whisper in our hearts that says, "It's not over. You can do this." It's the proverbial Rocky music in our ears. And there is a greater hope as well. Romans 5 hope. Colossians 1 hope. It's the ultimate hope in my life. It's what keeps me going in this long, difficult journey. "While there is life there is hope - and while there is hope there is life."